As an industry dealing with food, the bakery sector faces endless scrutiny. Stringent HACCP regulations and FSMA (Food Safety Modernization Act) requirements put pressure on the industry. Perhaps the number one measure of quality is hygiene. In addition to safety, hygiene plays a major role in the specific requirements established for the baking industry. This is especially true when it comes to bakery flooring. 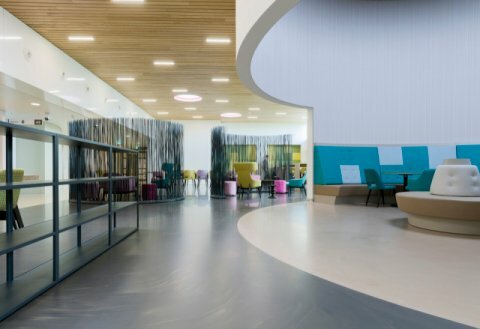 Heavy machinery, frequent use of high-pressure cleaners and detergents, as well as strict regulations, all call for an extremely high standard of flooring. 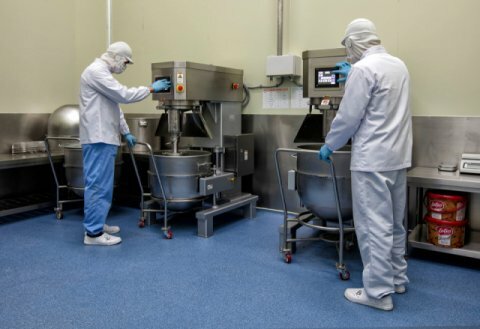 Here at Bolidt we are continuously developing our products so that a bakery fitted with our flooring will always meet the most recent hygiene and safety requirements, including those of the HACCP (Hazard Analysis and Critical Control Points). 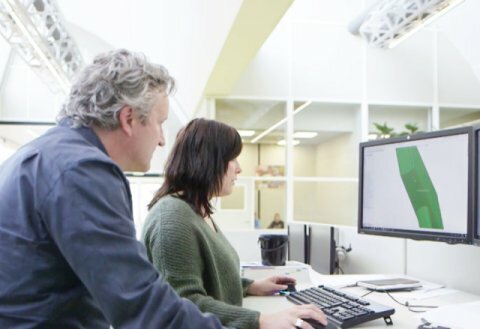 Whether in a large scale industrial bakery or a local artisan bakery, any area within the facility will have its own unique requirements. For instance, where bread products are baked at 200 degrees Celsius, the risk of contamination is much less than that of a pastry bakery. 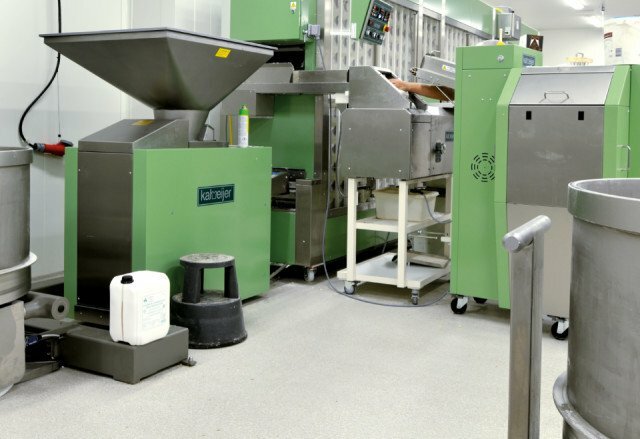 The ideal bakery flooring should meet all of these specific needs. Depending on the kind of bread, certain bacterias can be desirable. Different temperatures can be used in a delicate process to allow certain bacterias to form. Mold, however, is never a desirable quality in a bakery. It constitutes a principal group of spoilage organisms. Unfortunately, most of the ingredients in baking are subject to mold infections. Henceforth, hygiene becomes of paramount importance. 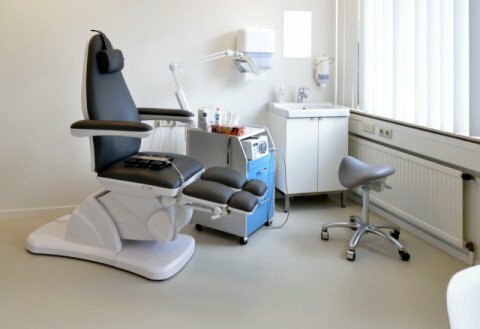 As the floor is one of the most common places for bacteria to form, it’s important to take every step possible towards a hygienic environment. In our opinion, the success of a renovation or a new build is in the details. The thought and design put into the details can be seen at a glance. 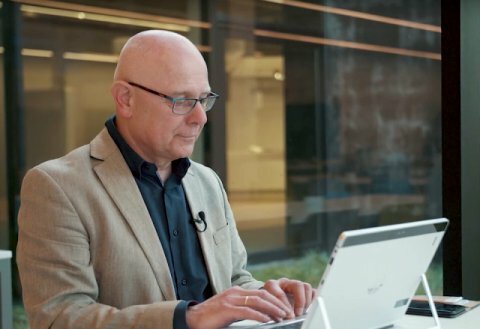 Without a seamless connection between drainage points and skirting boards, germs have the chance to germinate and multiply. We recommend making a seamless connection between the walls and floors to avoid right-angles and corners. Bolidt can achieve this through a coved skirting. 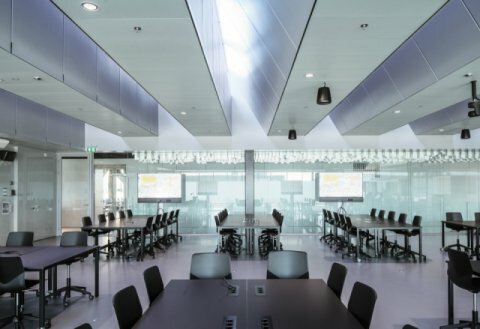 A good flooring application leaves no space for the growth of bacteria, literally. Bolidtop® 700 is entirely pore-free. Our team of specialists mechanically compound it during the application process. This leaves absolutely no space for air within the mixture, creating a perfectly smooth surface. It is also highly scratch-resistant and impermeable. Once again this minimises the opportunity for bacterial growth, whilst making the surface very easy to clean. 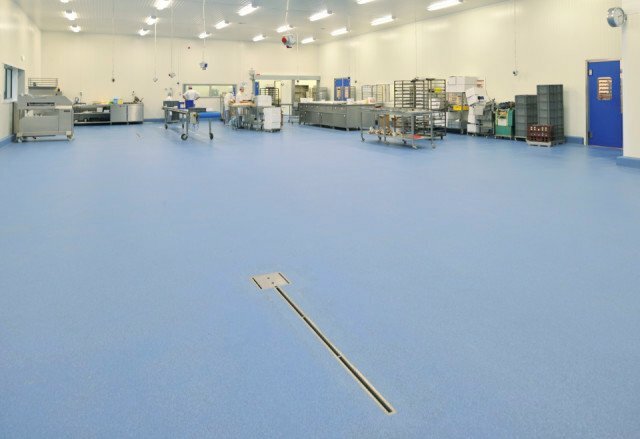 These qualities assure that Bolidt flooring is within the HACCP criteria. 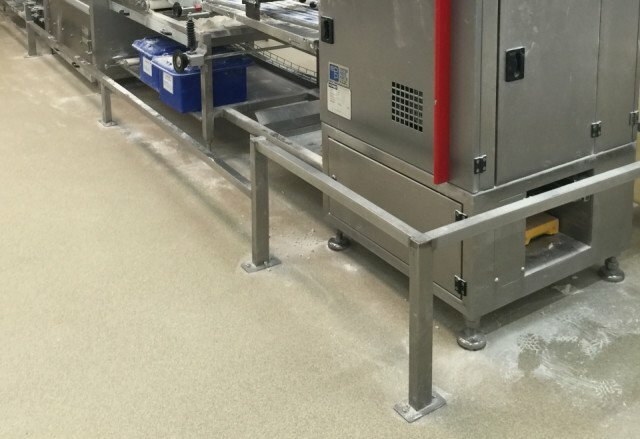 A bakery flooring system should be able to withstand decades of usage with heavy mechanical interaction. The bakery also experiences rigorous cleaning routines that require a chemically resistant surface. Bolidtop® 700 can take up to 600 kilograms per square centimeter and is chemically resistant to most common cleaning agents used in the baking industry. When it comes to durability, Bolidt takes a lifetime-perspective. 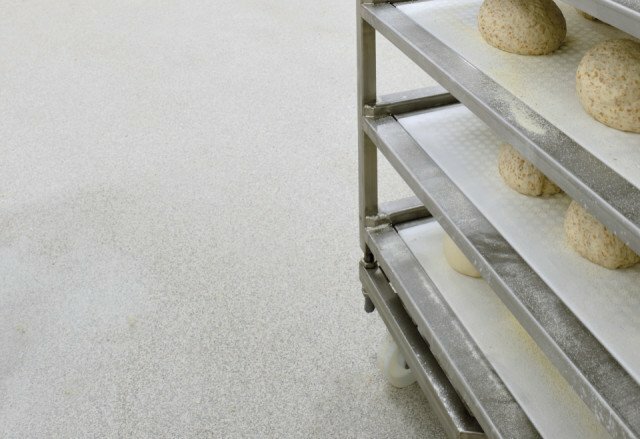 We see our floors serving clients in the bakery industry 20 to 30 years after the initial application. We also offer maintenance contracts, which involve annual maintenance inspections on our behalf, to ensure the highest quality and the longest possible lifetime. The bakery industry in particular deals with many loose materials. Whether it be flour, grains, or water, many substances come into contact with the floor. Thus, it’s extremely important to choose a floor that has a slip-resistant surface. 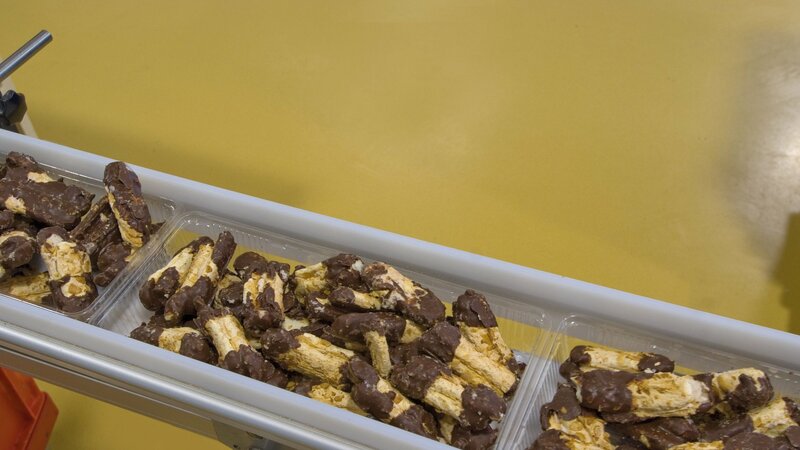 This in turn can greatly reduce the risk of slips and falls among bakery personnel. Working in a bakery can be largely labour intensive and thus anything to lower the risk of injury is essential. 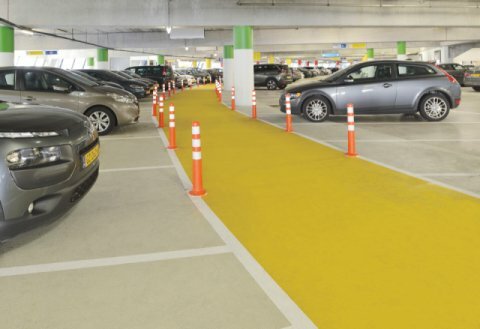 Through decades of experience, we’ve developed the ideal anti-slip surface. Bolidtop® 700 offers a steady grip in both wet and dry conditions. The role of the floor in a bakery is more pivotal to the success of an establishment than one might think. At Bolidt we take this role very seriously and do everything we can to provide a safe, innovative and long-lasting product to the industry. 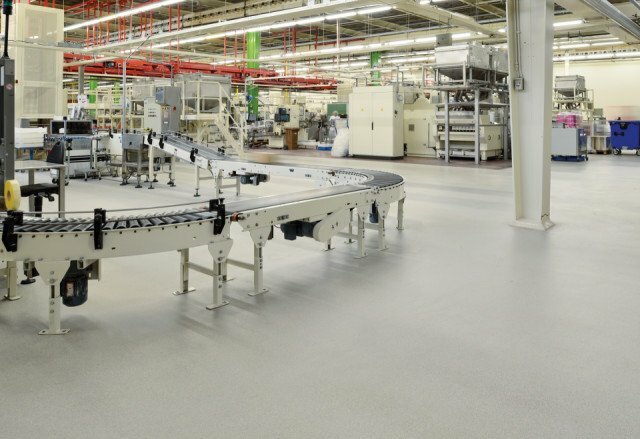 To find out more about Bolidt and bakery flooring, click here.